A public lecture focusing on the latest agricultural technologies will be held on January 13, 2018 at the Tsukuba Agricultural research Hall. The lecture will introduce the recent progress in agricultural innovations, new crop varieties, new functional food ingredients, and global warming mitigation technology in the agricultural fields. It will will also include video presentations and introduction of the quarterly news and information magazine published by NARO. 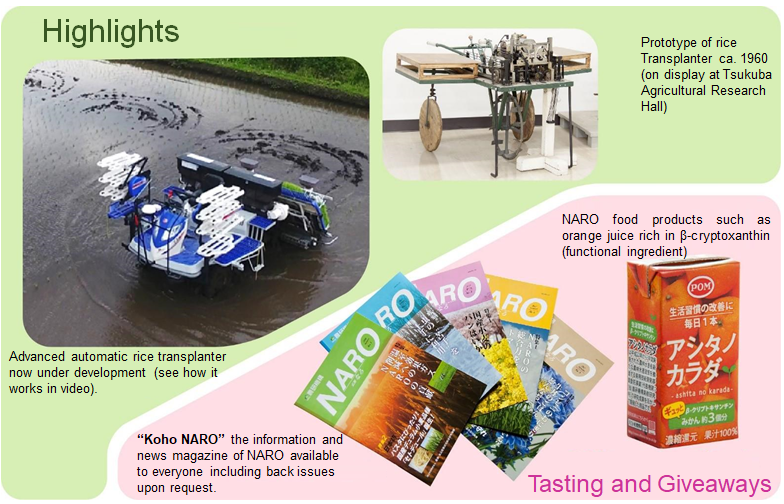 Participants will also have a chance to taste some NARO products such as the beta-cryptoxanthin-rich orange juice which is also commercially available now.